Brandt specializes in asset management of critical systems. Our facility services help you to minimize unexpected downtime, while also preparing to handle breakdowns and adverse events if they do occur. We respond quickly with 24/7 emergency service, so you can rest assured that even in the event of an emergency, your equipment and facilities will operate with minimal delays or interruptions. 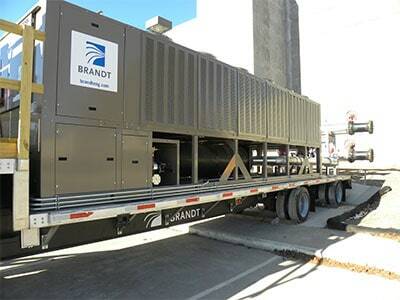 Brandt’s Critical Asset Management Plan (CAMP) is designed to help you plan ahead for what happens during a building shutdown caused by an HVAC or electrical failure or planned downtime event. We systematically help you think through and plan how your facility can operate using temporary power and cooling- and all the coordination and connections that need to occur- to make sure you get your building back online quickly and reliably. More importantly, we can help you budget for these unexpected expenses and help prep your building ahead of time with quick connects and equipment staging plans. Should you face a major adverse event, you’ll do it with Brandt in your corner. If you participate in our regular maintenance plans, the chances of such issues are minimal—but planning is the key to protecting your bottom line in the event of accidents or unscheduled maintenance needs. Brandt helps you establish your asset management plan, our rental coordination and management kicks into gear. We have immediate access to the following equipment and have the staff in place to deliver, start up, and maintain the equipment for days, weeks, months, or longer. Should your equipment suffer a breakdown, we can help you fill the gap.